If you’ve been searching for the perfect Apex home for sale but just haven’t found it yet, it’s probably because you haven’t seen this home! 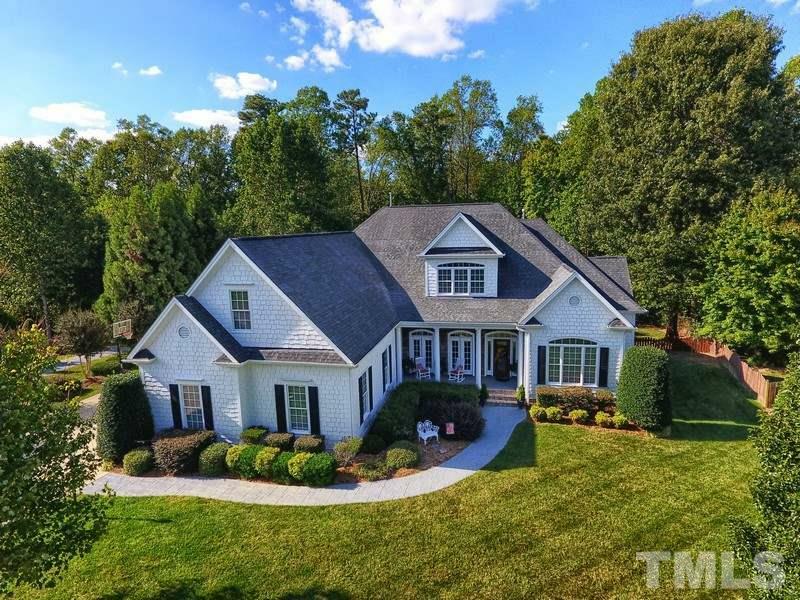 Tucked into the heart of beautiful Apex, NC, 3504 Foy Glen is a stunning retreat that perfectly combined the tranquility of country luxury and the easy lifestyle of city living. This absolutely breathtaking executive custom ranch features four beds, three baths, and over 5,000 square feet of living space! You’ll love the first-floor master layout, the amazing storage throughout, and the bonus rooms—like the gym, office, and sunroom! Take a look at some of this home’s most amazing features. Glossy hardwoods, shining granite, custom cabinets, high-end stainless steel appliances, even a butler’s pantry—what more could a cook want in a kitchen? There’s even a built-in desk for your organizational needs. 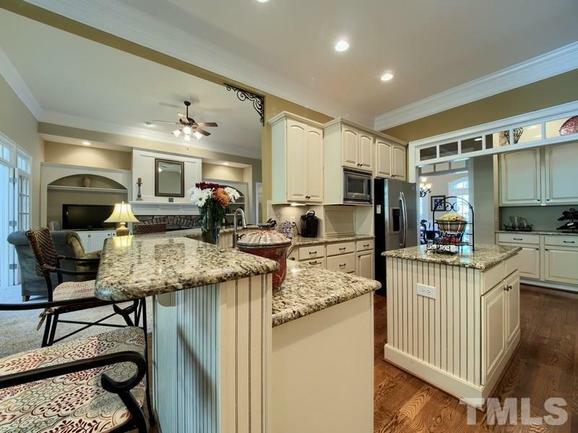 Plus, the open layout, eat-in bar, and breakfast nook make for seamless entertaining. Cozy up by the fireplace on cool winter nights in this charming and elegant greatroom, featuring beautiful built-ins and a scenic fireplace. And on bright spring days, open the doors wide to let in the light and some fresh air. Soaring ceilings and an elegant chandelier set the perfect scene for your high-end dinner party. 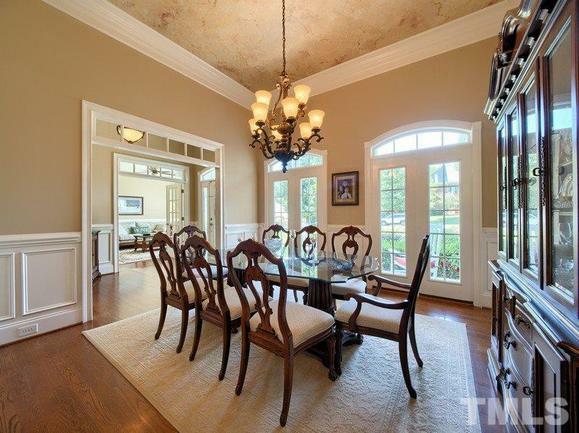 Impress friends, family, or formal guests with the magnificence of this formal dining room. You could call it a bedroom, but this master suite is really more of a retreat! Huge windows, tray ceilings, plus carpets, and even a fireplace make the bedroom truly luxurious. 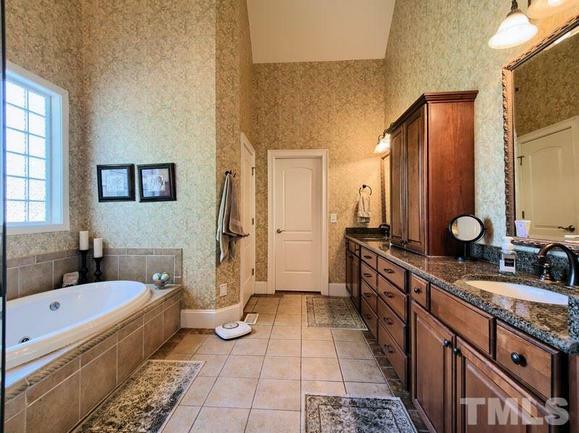 And the granite counters, soaking spa tub, and walk-in shower make the bathroom feel more like a spa. Want a Home Gym or a Game Room? This house has tons of upstairs bonus rooms perfect for… whatever your needs may be! 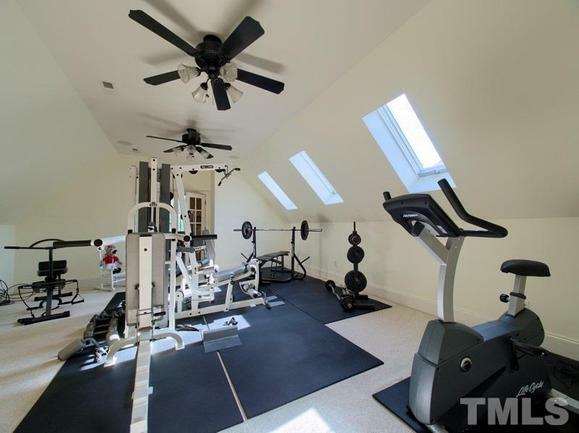 Make one an entertainment room, another an office, and the third… well, why not a home gym? And How About This Stunning Porch! 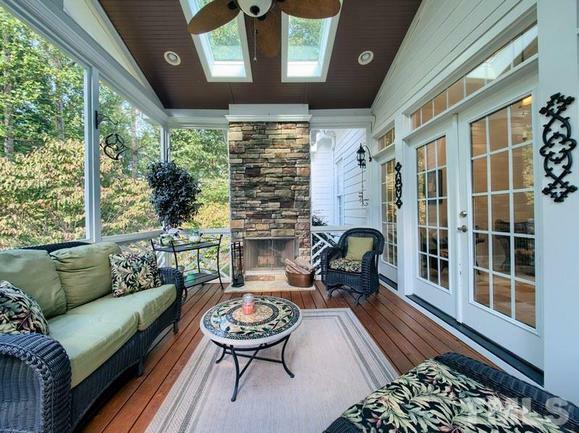 Whether it’s too cold or too hot to be outside, this screened porch is the perfect alternative! Enjoy the bright sunshine and the feeling of the great outdoors with the luxury of a fireplace (in winter) or a fan (in summer). It’s the best of all worlds! Ready to Find Your Dream Home for Sale in Apex? If you’re thinking of buying a home in Apex, then it’s time to contact Carla Freund Realty. We want to help you explore the area, discover its beautiful neighborhoods, find your dream home for sale, and relocate with ease. 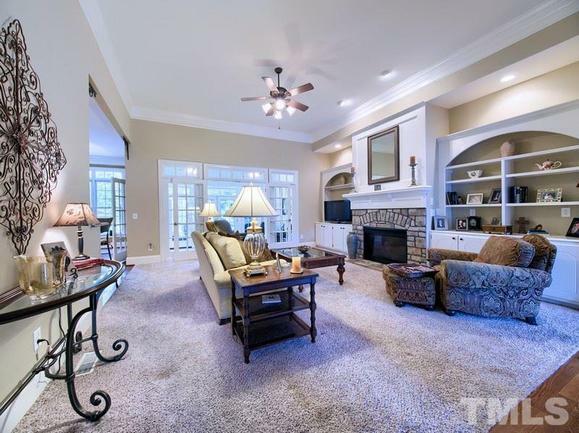 Want to See your Apex Home Staged Like This? If you thought this home looked amazing, it’s because we know how to make homes shine—and sell! If you’re thinking of selling a home in Apex, it’s time to contact Carla Freund Realty. We’ll stage your home to look just as amazing as this one, then help you price it right, and successfully list it for sale.